Whether you have B2B or B2C marketplace, E-commerce is an efficient way to make the business digitalized. The technology and optimized design for various devices are driving the e-commerce business to a distinctive level. W3villa has been offering a solution for e-commerce industry that satisfies both the clients and the end users. Our agency has numerous successful projects that are progressive and make a genuine conversion for your business. W3villa has a dedicated team that is well versed in designing and developing proficient applications and websites. CMS software development and upgrading for the newer version. With PHP as a base language, we provide a user-friendly application with a custom extension. .NET technology is used here for design purposes and to integrate analytical tools. We offer our services to all e-commerce industries, and we can develop the custom website and application that can make sustainable development for your business. Our developers are well-equipped and up-to-date to understand the market needs and what the customer expects out of the company. With experience and knowledge, we develop a unique model for all business. We have hire eCommerce developers who can make efficacious web design and create applications with unique features. We create a responsive and resourceful e-commerce site for every business. We incorporate SEO in every design and development; thus we have the comprehensive metric solution that helps you to perform better. 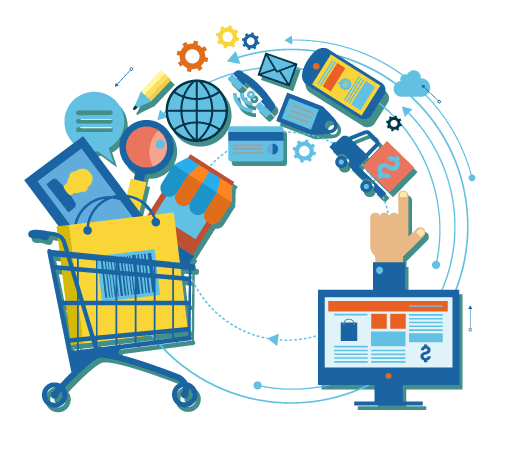 Make a secure shopping cart for your business with Custom Ecommerce Development Company.